In preparation for this review we researched the possibility of any insurance companies organized under the brand or name “Association.” The two possibilities we uncovered include a company that insures health clubs and their employees for liability purposes, and a not-for-profit that helps trade associations and other non-profits by offering a variety of business services. We have chosen the latter due to the fact that they own a for-profit insurance entity, which helps members establish their own captive association insurance programs. Enter your zip code below to begin your search for affordable health insurance rates. “Captive” insurance is essentially a program for a company, trade association, or other group that offers insurance protection through a self-insured program. The company or group sets up its own captive company, collects premiums, services policies, and pays claims. This type of insurance can be profitable for the company or group and less costly for the employee or member, but it can be very complicated to set up and administer. That is where the Center for Association Leadership (ASAE) and ASAE Insurance Company (AIC) come in. 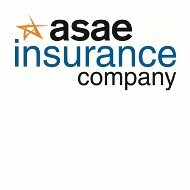 ASAE Insurance Company (AIC) is the for-profit entity that helps companies or groups set up their own captive association. To date they have helped hundreds of clients in their quest for affordable insurance programs under a self-insured business model. As part of AIC’s services, they can help member companies or groups set up just about any type of captive insurance products provided they meet certain conditions. Health insurance is but one example. In this case, a trade organization might want to offer a comprehensive health policy to their members without going through a large insurance carrier. By utilizing AIC’s services, they can easily and affordably set up their own captive health insurance company. In this type of arrangement AIC acts as a reinsurance provider and covers claims made by the captive association. That captive association would collect premiums and pay claims, and in the event they did not have enough cash on hand to pay claims, AIC would step in and take care of the difference. Under some circumstances the captive association can file a claim with AIC to recover monies paid out in claims, even if they have the cash to cover those claims. How this health insurance would look through the eyes of the consumer would be pretty much the same as if he had health insurance through another provider. Usually, the only real difference between this type of plan and a plan for a national carrier like the cross and Blue Shield, is the fact that billing would probably be based on a third-party system. This type of system designates that the consumer pays for his medical care out-of-pocket and then submit a claim to the captive association for reimbursement. The ASAE website provides links and a search tool to help you find association members and their contact information. You must first establish an online account before you have access to this information, but the account is free. Once you have account you can simply enter your address and zip code into their search engine for a general list of associations. You can further customize your search for particular types of associations, geographical location, size, or the types of services they utilize. Careers at the ASAE website are quite a bit different from what you find on other sites. In other words, rather than simply providing a link to their own job opportunities, the organization provides links to job postings from all of their members. For Association members this is an invaluable service because it allows them to target specific candidates rather than accept every resume that comes in the mail. For the job seeker, it’s a big help in that it narrows the possibilities according to the type of company or association you’re looking for. Job postings on the site each have their own separate link complete with company or group name, job description, and application instructions. If you are a member looking to post a job, the website provides links and instructions for that as well. Enter your zip code right now to see health insurance rates from several different carriers.